Golden Gate Sign Company employs an Administrative staff well-versed in the regional signage approval process. Our permit service and sign installation experts are ready to work with you and your municipality, meaning we will go to work analyzing municipal ordinances and codes to determine the optimal location(s) for your sign installation. We have the resources and the experience to handle both standard and specialized approvals and variances, and we've managed the sign installation and approval process for clients across California’s bay area. With over 40 years of experience, we have the understanding of zoning in your area to deliver you the perfect sign that meets all local laws and regulations. No matter if you're in need of an architectural sign in San Francisco or a commercial sign for your Bay area storefront, you can depend on our signage experts to make it happen according to the regulations and guidelines of your area. Our team will review all regulations and required paperwork for zoning in order to ensure all necessary permits and approvals are in place prior to the scheduled sign installation. This means you will have the seamless service you need to have your new sign fabricated and installed in as little time as possible. Having a streamlined and easy sign process is what makes our San Francisco sign company stand apart from the competition. Don't wait any longer to discover how simple the sign making process can be! 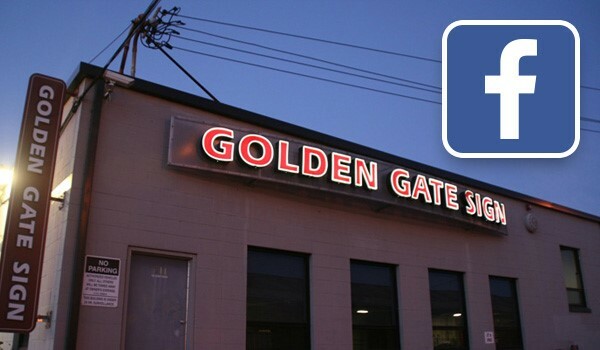 Secure your new company's sign today – give Golden Gate Sign Company a call to learn more, or fill out our FREE no-obligation contact form today.